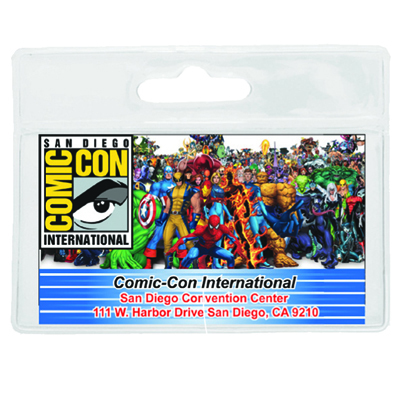 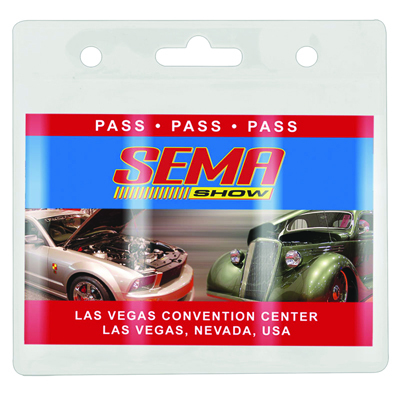 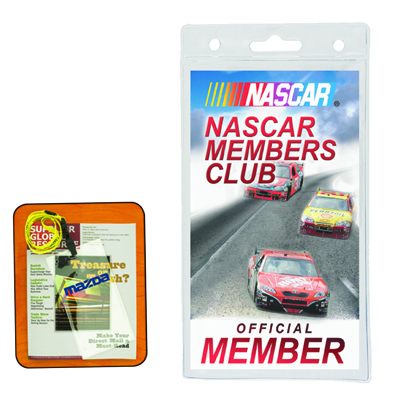 A clear vinyl trade show badge holder. 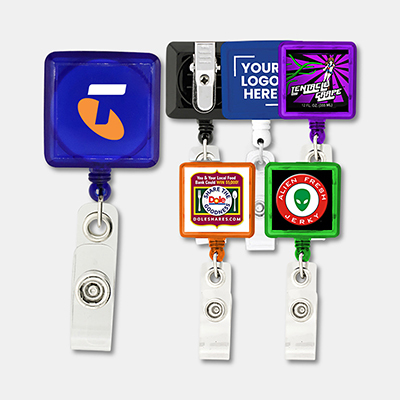 ID/Badge holders can attach to any J-Hook, badge holder or retractable holder. 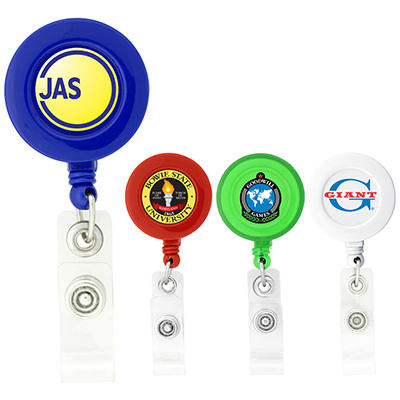 A 838mm retractable badge reel with a metal swivel alligator clip on the back. 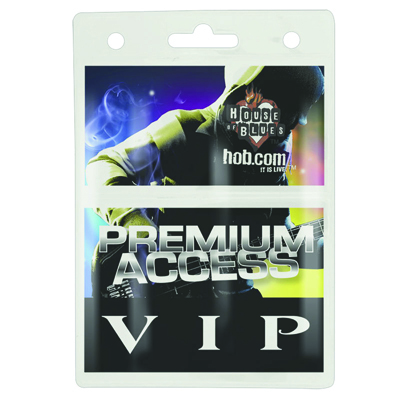 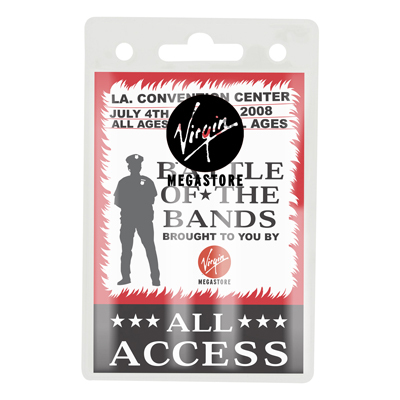 Imprint directly on the badge holder or have a full colour digital insert. 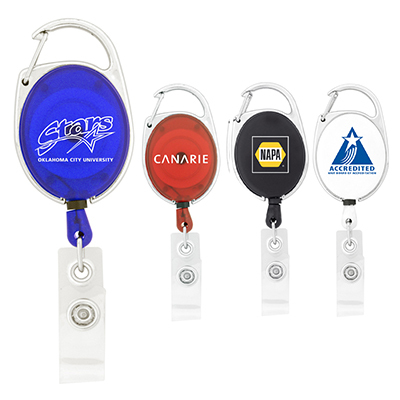 Available in Translucent Blue, Green, Orange or Purple, Solid Blue, Black or White.